It’s finally here! It’s Day ONE of the Japanese Sewing Book Series! I hope you’re as pumped as I am. Today we are going to be covering some of the basics that you need to know before you even buy a book! And my first guest is none other than the amazing Kristin of skirt as top. Honestly, I could probably go on and on for days gushing about this girl – she really is an amazing person! It’s hard to believe it was only a little over a year ago that she sent me that first email to congratulate me on my first guest post (how sweet is that!?) – and now, a year and literally hundreds of emails and texts later, I’m so honored to call her one of my very good friends. She’s clearly got amazing sewing skills and impeccable taste – just check out this springtime ayashe, her washi dress (still my favorite), and her doily foldover clutch. She is also a truly creative and original artist. You know you’re not going to see something that’s already been done on Kristin’s blog. For me, her sweet tartan junebug remix and sunshine dress really stood out to me as incredibly unique. She’s always coming up with awesome new ideas and has great perspective – she’s my favorite person to brainstorm with. Honestly, there is rarely a project that I haven’t consulted her on. She is the co-creator and co-host of the ridiculously amazing, hilarious, and creative, not to mention, my favorite series, film petit. I mean, if you haven’t been following film petit, I really have no clue where you’ve been – you NEED to check it out. AND on top of all this, Kristin is really just a sweet, generous, humble and fun person. And today she’s going to walk us through some of the super basic steps that will get us started with Japanese sewing books. I’m honored to have her here as a guest! Hi, You & Mie readers! I am really looking forward to learning more about Japanese pattern books this week, and knowing about this series has motivated me to pull my books out again and be inspired! I don’t speak Japanese at all (just a few phrases my husband taught me – he took it in high school and college), but I just love the aesthetic and sewing methods in Japanese pattern books SO much. They’re simple but beautiful and I think the generally loose-fitting styles look really great on kids (this is one of my personal favorites). This was a big mystery to me when I first saw people blogging about Japanese pattern books a couple years ago – they weren’t sold in fabric stores or regular bookstores, so at a certain point I went on a hunt to find them. Fortunately, Portland has an Asian grocery store called Uwajimaya that just so happens to have a bookstore in the back – it carries a HUGE selection of pattern books and it’s where I’ve gotten most of mine. The actual bookstore is called Kinokuniya, and they have seven locations in the US . They also take orders online (though their site is a bit difficult to navigate). If you’re lucky enough to live near one, go check it out! Really cool to see so many books all lined up and thumb through each pattern. Amazon is also a great resource for the more common books – just search “japanese pattern books” and check out the titles. You can also browse etsy – a seller named pomadour24 has a wide selection with good photos of the insides of each book, which is very helpful – you want to know you’ll sew at least a couple of the patterns before investing in the whole book, I think, since they tend to be a little on the pricey side, no matter where you get them. 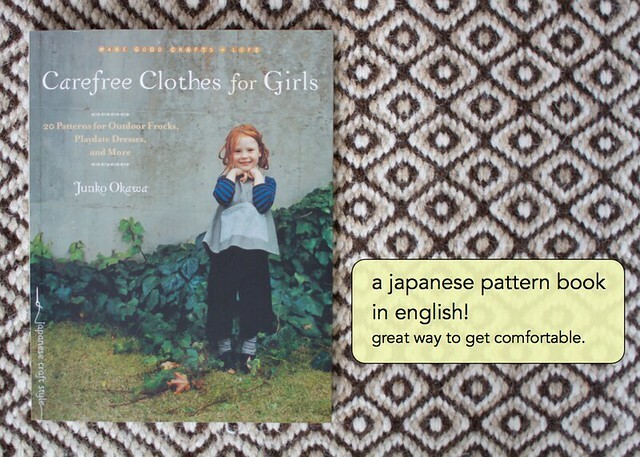 For this post, I chose to make a project from Carefree Clothes for Girls by Junko Okawa, since it’s probably the most easy to find and accessible of the Japanese pattern books. The style, format, and construction techniques are similar to what you’ll see in most Japanese pattern books, but it’s been translated into English (and inches), so it’s a really good one to start with. If, even after this series, you’re dying to sew a Japanese pattern but are still intimidated by the language barrier, give Carefree Clothes for Girls a try! 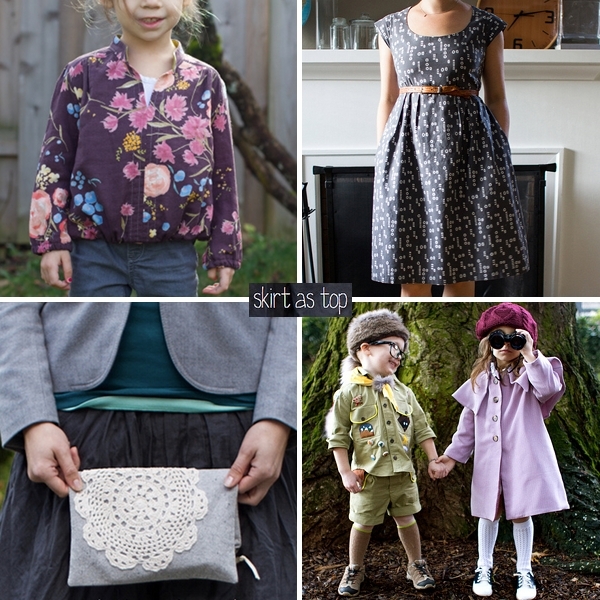 There are actually free PDF pattern pieces (no instructions) from Carefree Clothes for Girls here and a couple free full projects from book here if you want to see what you’ll be working with. 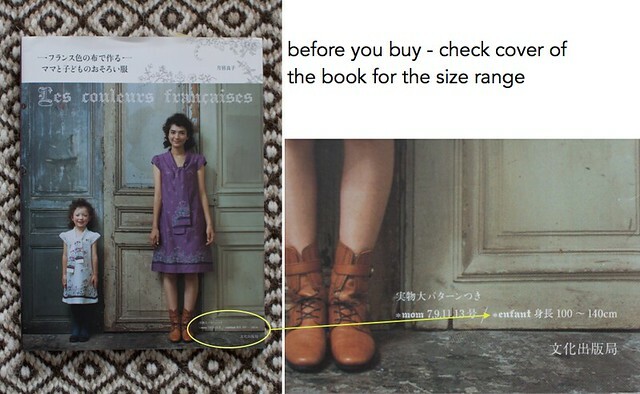 Before you buy your chosen pattern book, there’s something else you should note – and I think this probably applies more to purchasing them in person versus online, since you can see a pretty good description online – Japanese pattern books (like many other patterns) come in a limited range of sizes per book! 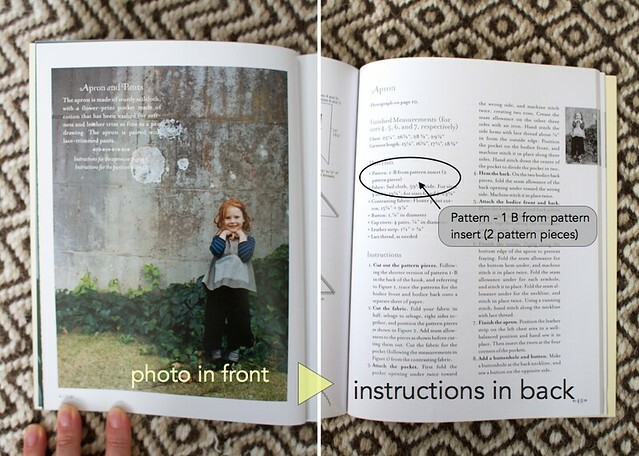 The size range is typically indicated on the front cover, and kid sizes are listed in centimeters (more on that later). I bought most of my Japanese pattern books when my daughter was 2, and once I got them home I realized the sizes started at 4 (100 cm). I tried to resize a few back then, but it’s so much easier to sew for her now that she is growing into the proper size! So be careful of that. 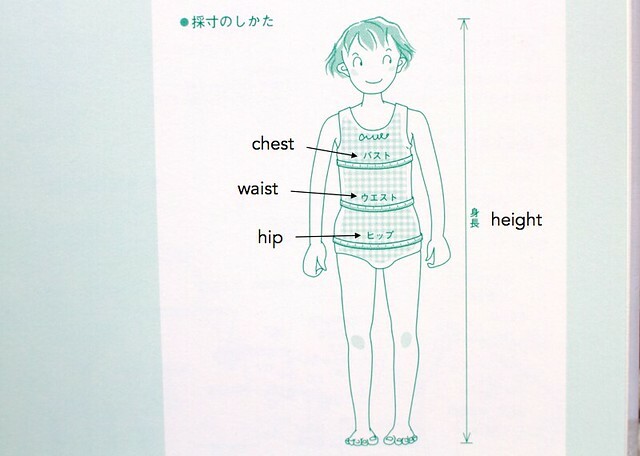 I put together a chart with some conversions and included the Japanese characters to help you guide your pattern size selection based on your child’s measurements – as with all sewing patterns, it’s best to use your child’s measurements rather than age to determine sizing, and though I noticed the chest/waist/hip measurements correlated to the same height size in all three of the books I looked at, there could be some variation. But hopefully this gives you a general idea what to look for – you can see how the Japanese characters in the chart below match the drawing above. Japanese sizing seems to run a little smaller than American sizing in general. For instance, I usually sew a size 3 for my petite almost-five-year-old daughter in most American patterns, but I sewed a 4 for this project and it fits her perfectly. She wears a 5 in store-bought clothes. Every Japanese sewing book I’ve seen starts with pages of beautifully photographed outfits, with letters/numbers/names associated with each photo. Once you’ve browsed through the eye candy at the beginning, you get to a section usually titled “how to make” which is where the size chart and instructions begin. And how to make heads or tails of that spiderweb will be covered in the next few days by future guests! 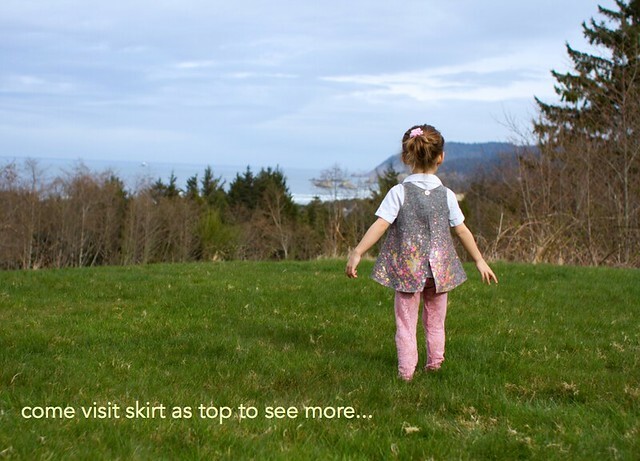 Please add any stores, resources, and sizing tips you may have to the comments, and if you’d like to see the project I made from Carefree Clothes for Girls, visit skirt as top today! Thank YOU, Kristin! While you’re over at skirt as top, be sure to check out all of her amazing and inspirational projects! And stop by tomorrow for a really great post about decoding all that essential information found at the top of each instruction page. It’s the part that usually makes me sigh and close the book before I even get started. But not after tomorrow! Lots of great information, Krisitn – thanks so much for sharing your wealth of knowledge! So excited about this Japanese book series! This is awesome. I just started with Japanese sewing books this year and I love them! I just discovered a few new ones being translated into English too: Girls Style Book, Feminine Wardrobe, and Stylish Dress Book- Simple Smocks Dresses and Tops. The Drape Drape and Pattern Magic series have already been translated into English, as well as a different Stylish Dress Book. I am looking forward to the rest of your blog series! Great start! I franticly checked the books I have ordered but not received yet because I did not check the sizes before I ordered. Phew, I think I am good 😉 Will come back tomorrow! This is such a wonderful resource of information. 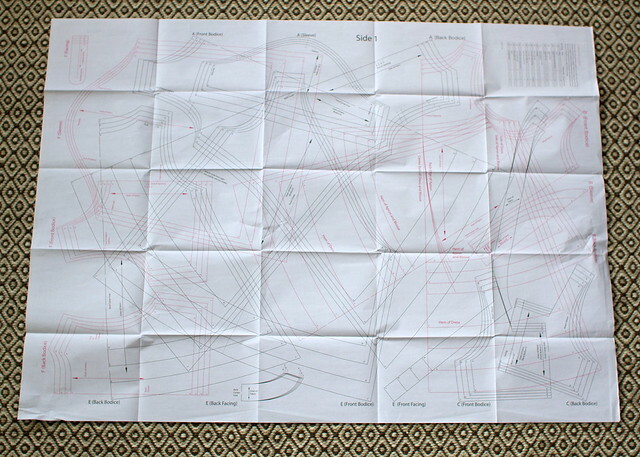 I’ve printed the sizing chart to tuck into my book. Thank you! This series is amazing. Great job explaining these nitty gritty details Kristin! what a great introduction to using these books – thank you!!! Aw geez, Cherie, I’m blushing like crazy now. I’m a huge fan of yours and I’m so happy to help kick off your first series! Yeah girl! Thanks for inviting me and for your sweet words – your creative ideas are a huge inspiration to me too, and I love brainstorming with you! So glad we’re friends. Such great info here… Kristin is obviously well-versed in this subject! I look forward to the rest of your guest posts! way to kick off the series! i have this book, time to get it out now that things will finally fit! thanks for the tips!! I love, love, love sewing from Japanese pattern books, I think I have 4 or 5 of them 🙂 They are just such beautiful designs, and really are easy to follow! I did attempt an adult’s maternity top, but not having sewn many adults clothing anyway completely mucked it up!!! Thanks for sharing! This is very helpful information, especially about the sizing. I wish I had known it before starting to sew from Japanese books! Holy crap – the store you buy your pattern books at has a location 6.4 miles from my work!!! Now I know what I’m doing at lunchtime tomorrow!!!!! Just LOVE this series idea! As well as Pomadour24, I’ve found on Etsy that JapanLovelyCrafts and PinkNelie both have a good selection of books and fantastic customer service too. Really helpful when I was looking for a particular one that was out of print. I’ve only sewn adult’s clothes from Japanese books, probably about 6 garments now, and they’ve all worked out great. I’ve generally used similar (fairly plain) fabrics to what has been used in the books – often lightweight linen/cottons – and I think that’s contributed to a nice outcome. I’m usually a size Small in Australian clothing but I’ve been cutting out a size Medium with pretty good results overall, although I’m yet to make anything very fitted. I love the boys clothes too. So hard to find gorgeous boys things. Thanks, Cath! I agree – I think Japanese patterns run smaller than American patterns. Sorry my wording was confusing. I nervously bought a book from Japanese amazon. Scary cause I couldn’t understand a single word on the whole page, but the picture looked right, and the price equated to only 27 cents! Your suggestions seem much safer! Great post. Great start to the series. 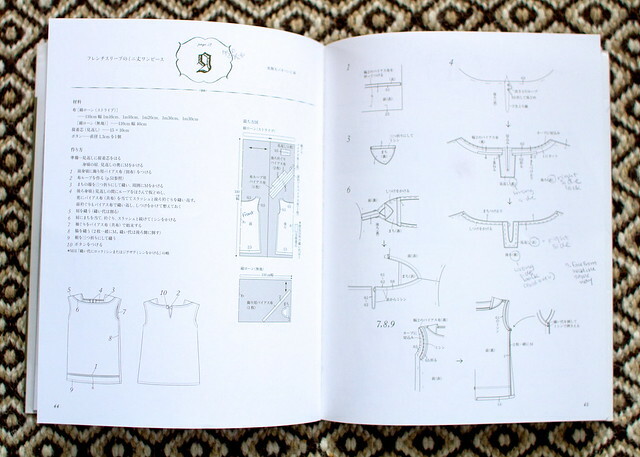 I wish there was a shop full of Japanese sewing books somewhere near me! This was so great, the perfect start to the series!! I love how specific and broken down this is…I can’t wait to see what is coming up. Oh thank you so much for this series, late last year I bought Ondori Boys’ Clothes in order to make uniform pants for my son, and alas, I didn’t have a clue how to start, figure out sizes and such! This helps so much! Now I know that I have sizes 4,5,6 and 7! What a great post! I just joined this whole sewing/blogging community and it is so much fun to see what you all are up to! It’s amazing. First of all, I love this series! I missed it when it was actually running, I was caring for my newborn and enjoying lounging with endless amounts of uninterrupted snuggles! Second, thank you so much for the idea behind this series! I love japanese patterns, but don’t read japanese and have fumbled thru a few, more than a bit frustrated. I am super glad Kristen posted about where it buy japanese pattern books, as we have a Uwajimaya in Seattle and I got to thumb through many delicious pictures before selecting a gem to take home, in the bookstore. It was so nice to see all the patterns in the books in person, versus just seeing a few online. Thanks so much! I just recently reopened my japanese pattern books this week so I’m glad to have stumbled upon this. I’ll definitely read through the rest of the series but can you tell me how to determine the necessary yardage if you happen to have any of the happy homemade books. Thank you! Hi! Sanae wrote about this in her post, under the section “Materials/Supplies” (2nd paragraph). I hope this helps!! !